Preset configuration of the white form above - search for an exotic car or a cabriolet at 'Bavaro-Higuey - Punta Cana International Airport'. Cabrio and convertibles are rare car types available only in some rental locations throughout Dominikana. The highest chance to find an available cabriolet is to search in rental offices located in airports. 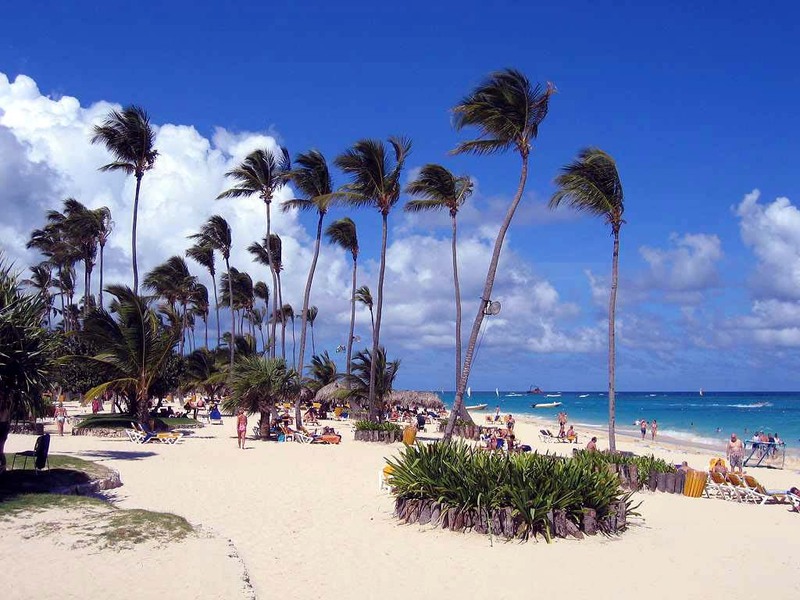 We advise booking a cabriolet in Bavaro-Higuey in advance (several weeks or even several months prior to your trip), since the availability of cabrios in our car park is quite limited. The most widespread cabriolet models offered for rent in Dominikana are: Renault Megane Cabriolet, Chrysler Sebring Convertible, Ford Mustang Convertible and VW Eos Convertible. At the booking time, please check the rental conditions carefully. Quite often, rental offices in Bavaro-Higuey require two credit cards to guarantee issuance of a cabrio or a roadster. We recommend ordering additional no-excess insurance that covers your risk (franchise), since the franchise amount for cabriolets in Dominikana is quite high. Make sure to inspect the rental invoice issued at the office in Bavaro-Higuey and compare it with the information indicated in your voucher. Sometimes, rental officers make 'unintentional' mistakes in rental invoices. When parking a cabriolet in Bavaro-Higuey, it is recommended to unfold the roof and close windows in order to prevent theft or robbery. OrangeSmile.com wishes you an exciting journey with an open roof around Dominikana! Drivers in the Dominican Republic can be characterized as having somewhat reckless driving style. They rarely pay attention to traffic signs, rarely give way to other motorists, and usually behave very confident on the road. Foreign drivers will certainly feel the lack of traffic lights on local streets. Quite often, there are signal flashlights instead of traffic lights on the street. It is worth noting that neither traffic lights nor flashlights draw much attention of local drivers. They can safely pass a red light, or vice versa, stop very suddenly in the very middle of the road. The control over the implementation of traffic regulations in the Dominican Republic is not as strict as in other countries. However, foreign visitors should not take risks, and they are recommended to follow all traffic regulations carefully and pay attention to traffic signs. Local police officers can forgive minor traffic violations if they are made by local people. Foreign visitors should not count on that. There are many excursions for divers. Experienced divers will be able to see the most attractive underwater caves and reefs, and newbies can enroll in one of the local scuba diving schools and feed exotic fish during their first lesson. Suba Caribe remains one of the most popular aqua centers in the region and offers a broad range of excursions for its guests. Fans of underwater hunting and tourists who like traditional fishing will also not be disappointed. Beautiful yachts take guests to the most silent and finniest places. Boca de Yuma is the most popular with fans of underwater fishing. 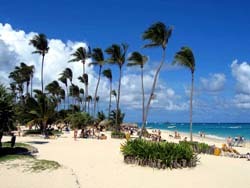 In Bavaro, there are several prestigious golf clubs that attract both experienced sportsmen and beginners. Of course, all clubs offer coaching sessions with professional players, so even complete newbies won’t feel lost. The resort is a true paradise for fans of rafting as this region has everything needed for canoeing. Jarabacoa Mountains are the best destination for fans of this activity. If local mountain rivers are not enough, consider visiting Samana Island that is located not far from Bavaro coast. Mountains in Jarabacoa attract not only fans of hiking and rafting but also alpinists. This place is the location of Pico Duarte – the highest peak of the Caribbean Islands, so there’s no wonder why so many sportsmen dream of winning the mountain top. Tourists, who prefer shopping or nightlife, will also not feel bored. The majority of nightclubs, bars, and discos are open not far from the beach. There are also souvenir shops in all parts of Bavaro.